Domestic Violence affects each one of us directly or indirectly whether we like it or not. 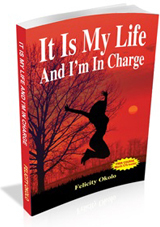 Domestic violence Expert, Coach, Speaker & Author - Felicity Okolo teaches thriving to women survivors of domestic violence even when they do not not see the possibilities of thriving. Felicity educates corporations and institutions on preventing impact of domestic violence on their business profits. And on minimizing the effect of collateral damage of domestic violence on their staff, students and clients. Domestic violence - also called domestic abuse, battering or intimate partner violence - is a pattern of controlling and aggressive behaviours from one adult towards another within the context of an intimate relationship. It can be physical, sexual, psychological or emotional abuse. Financial abuse and social isolation are also common features. The violence and abuse can be actual or threatened and can happen once every so often or on a regular basis. Why should you work with Felicity? Choosing a life coach is a critical decision. It's imperative to find someone who will take the time to understand your individual needs and concerns and structure a life plan specific to you.